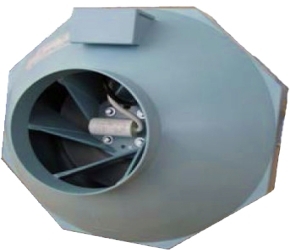 Espada duct fans are typically found as boost fans within long duct runs and trickle extract fans due to the nature of them moving the air in-line with the axis of the impeller. The Espada is often used as bathroom extract and in hydroponic applications where humidity is high. It has a light weight yet durable construction and are designed to fit directly into spiral ductwork for a quick installation. Due to the lower flow rates and pressure, tube fans have very low noise levels making them ideal for installation into ceiling voids.